This is a pretty clear method of finding the information you need when working with Office 365. 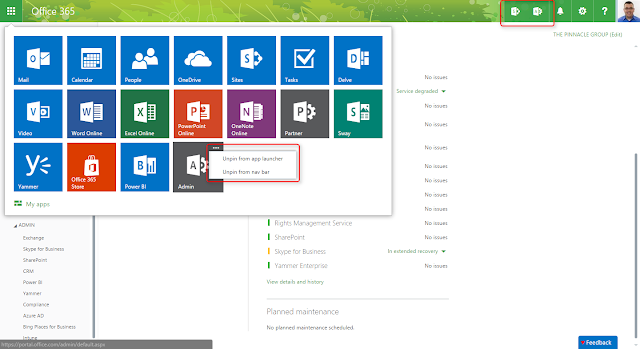 Just figured out I can pin app buttons to the nav bar in the Office 365 Admin center. Pretty cool! Update: You can only have 3 buttons pinned at any one time.